The success of any strategic management process within an organization depends greatly on its ability to manage stakeholders. Stakeholders with competing expectations and demands are actively involved in the implementation of strategy, have a vested interest in the success or failure of organizations, and most importantly, can derail your strategic efforts. 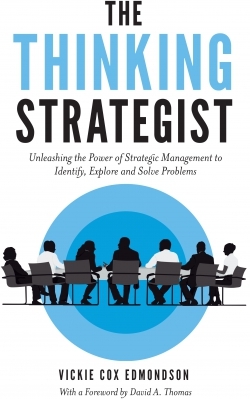 As per its title, The Thinking Strategist promotes the strategic management process as a way to identify, explore and solve problems. It succinctly provides useful advice and practical tools to strengthen decision making and problem solving skills to accomplish organizational goals, exceed objectives, and to get top management and other key stakeholder support. Ideal for business students and aspiring managers who seek to distinguish themselves as people who make success happen, The Thinking Strategist provides key concepts and principles, as well as analytical tools and frameworks used by organizations, to help identify, select, and implement appropriate solutions to problems that can lead to a competitive advantage and long-term success. The book is designed to help develop the skills, confidence, business judgment, and resilience needed not only to be successful but to be a driver of decision making and problem solving. 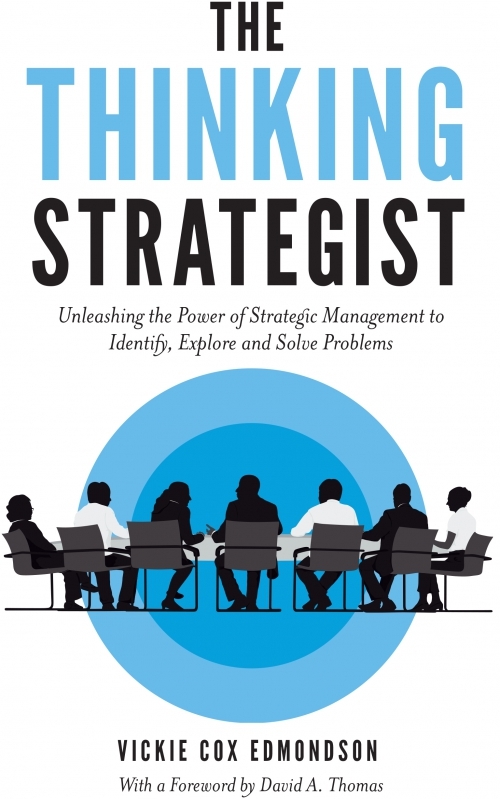 To be an expert – a thinking strategist. 1. What Is Strategy And Why Is It Important To Anyone Not At The Top? 2. What Does A Company’s Internal Environment Reveal About Its Strategy - Structure Relationship? Vickie Cox Edmondson, Professor of Management, has taught strategic management, a business capstone course, since 1994. She most recently taught the course for seven years at Morehouse College where she served as the first Associate Provost for Student Success. Dr. Cox Edmondson taught the course at the University of Alabama at Birmingham in an academic appointment for 15 years, and at the University of Georgia while pursuing a doctorate degree in the discipline. More information can be found at her personal website: https://www.vickiecoxedmondson.com/.